Do NOT attempt to load the firmware more than once or if V50 is otherwise already installed. If you already have version 50 firmware or if you are uncertain as to whether or not the update was successful, do not attempt to update the firmware again - contact customer service. AFTER THE UPDATE IS PERFORMED, the updated Einstein™ unit can accept both MicroSD cards (up to 2GB in size) and MicroSDHC cards (up to 32GB in size). 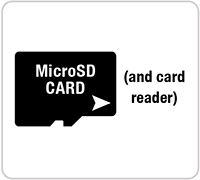 The MicroSDHC card has the same build and size of the MicroSD card, but it offers greater capacity and transfer speed. Please note that the use of a MicroSDHC card is only permissible AFTER THE UPDATE. To perform the update, you must use a MicroSD card (2GB or less in size). AFTER THE UPDATE IS PERFORMED, cards can be formatted on Mac Systems (FAT32 formatting). Includes all previous firmware updates (see below). Do I need an update? How do I know which version I have? When your Einstein™ unit is first powered on, the firmware version will flash on the bottom of the screen for approximately 2 seconds. The firmware version can also be found on the diagnostics screen in the lower left corner. If you can’t find it, call us and we’ll help determine your version. Please read all instructions before beginning this firmware update. Even if you have updated the firmware on your Einstein™ unit before, please review the instructions for this update as some steps have changed and there are special requirements that are specific to this update. Do NOT attempt to load the firmware more than once. If you already have version 50 firmware or if you are uncertain as to whether or not the update was successful, do not attempt to update the firmware again - contact customer service. Save the file “E640_V50.zip” to your hard drive, we recommend to the desktop. Navigate to the MicroSD card drive, click to open and confirm your MicroSD is empty. Leave this window open. Navigate to the “E640_V50.zip” file that you saved to your hard drive (desktop) and click to open, unzipping if necessary. 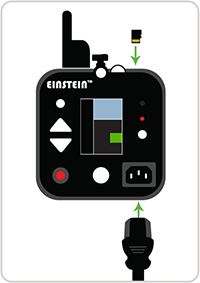 Disconnect the power cord from the Einstein flash™ unit. Take your MicroSD card with the downloaded firmware and insert it into the Einstein™ unit. The MicroSD slot is located on the top, rear side of the unit. Insert the MicroSD card into the slot, metal contacts first, facing the rear panel. The card must be inserted at a 90º angle. Push until the card clicks into place. Connect the Einstein™ unit’s power cord into a suitable power source, then connect the cord to the power jack on the back panel of the unit. Note: It is very important that you use a reliable power source when you perform this update. Portable power system use is NOT recommended. If the unit loses power during the update process, the process may fail and cause major problems with the unit, requiring you to send the unit in for service. Your firmware update should now start. The LCD screen on the back panel of the Einstein™ unit will go solid white and begin to flicker quickly, alternating between a fast and slow pace. The procedure should take approximately 45 seconds. Once the flickering has stopped, remove the MicroSD card by pressing in and letting it pop up. Power ON the flash unit. As the unit reboots, “SW-0173 Ver 50” should appear on the screen. Place the MicroSD card back into the card reader that is connected to your computer. Navigate to the MicroSD card drive folder, and click to open. Click and drag the “PCBUFF” folder (the same downloaded folder that you clicked and dragged before) to the MicroSD card. When you drag the folder to the MicroSD card, you may be prompted with a message stating that there is already and item named “PCBUFF” in this location. Click “Replace” or accept the request to replace this file. 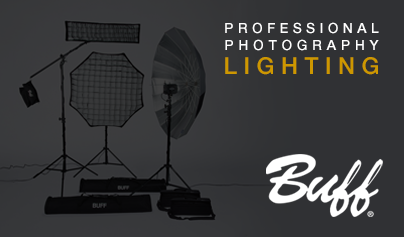 Repeat STEP THREE (above) to update the next Einstein™ flash unit in your setup. Note: You will need to reinsert the MicroSD card into your card reader and drag the “PCBUFF” folder onto the card each time before updating each individual unit. You can NOT move from one unit to the next without going back to the computer first as the necessary files do not stay in place on the card after the update. AFTER THE UPDATE HAS BEEN SUCCESSFULLY PERFORMED, you may use either MicroSD cards (up to 2GB in size) or MicroSDHC cards (up to 32GB in size) for future firmware updates. Do NOT attempt to load the firmware more than once. If you are uncertain as to whether or not your firmware was successfully updated, contact customer service. i Only standard-capacity MicroSD cards are supported for this update. AFTER (and only after) the update has been successfully performed can MicroSDHC cards be used. MicroSDXC are not currently supported. ii Mac Users: Be sure that you do not format to “FAT” on a Mac. The term “FAT” on a Mac is actually FAT32, and will not work to update your unit. The card must be formatted to FAT16 in order to work. If you do need to reformat your card, you can format it in a PC or you may be able to format it in an SD capable camera with the appropriate adapter; however, we cannot guarantee all cameras will format appropriately. AFTER (and only after) the update has been successfully performed can cards formatted on a Mac be used. The firmware 'Version 50' update includes ALL PREVIOUS UPDATES that have been released, updating Einstein™ units from versions 19, 20, 22, 26, 29, 30, and 31. Allows the fan to be controlled by the internal temperatures of the light. The fan will run at slower speeds at cooler temperatures and higher speeds as the light warms up. Updates internal component drivers to latest versions. Users will not notice any changes in performance or features from firmware version 26. Updates for compatibility with the PocketWizard® PowerMC2 remote. With the Cyber Commander™ remote, when the Einstein™ unit is not in a selected group, the new firmware turns off its modeling lamp and disables the sync jack and slave eye. Increases the pump temperature reading at which the light shuts off (from 60°C to 105°C), increasing the time before thermal shutdown. Includes a cosmetic change to the diagnostics screen. Corrects an issue where the light may double fire when a triggering cord is connected in the 1/8” sync jack.